Please head over HERE and vote in the Handmade Olympics. 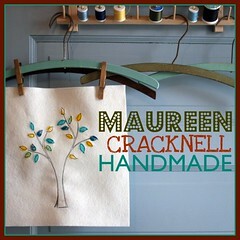 please vote for Maureen Cracknell Handmade. Everything she does is beautiful including her. Good luck Maureen! She also posted a great fabric Giveaway today.